Yes, folks, it's time for the Samantha Walker December blog hop and we have some FABULOUS inspiration to share with you all along the way this time around! Samantha is giving away one of her fabulous digital Scrapbook Kits so be sure to leave comments all along the way for your chance to win that!!! If you came from Samantha's blog you have already started!!! YAY!!! If not, it's only ONE hop back, so fee free to jump on over there to get in on ALL the fun! For today I decided to give you a little non-Christmassy Christmas inspiration! That's right...it doesn't all have to be trees, reindeer, and Santa Claus! 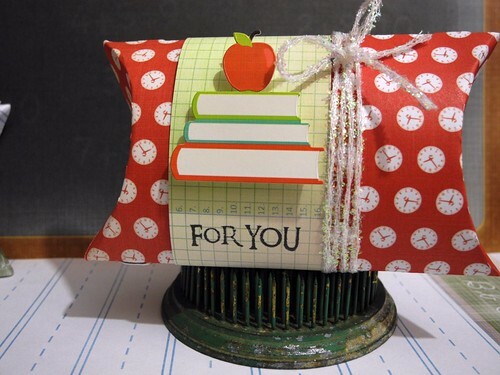 I created a couple of super cute pillow boxes to give gift cards to teachers. As the wife of a teacher and a former teacher myself, there are two perfect gifts to give a teacher - gift cards or classroom supplies! They don't cause clutter and they are always useful! These are both created with the Samantha Walker A to Z line by Creative Imaginations! I love this line!!! It is so fun and the imagery in it just makes me happy! I used the papers, cut with Sally the Cricut's Art Philosophy Cartridge (that's her favorite one) into the pillow box shape and then I embellished them with the stickers from the line! I LOVE IT! The twine is May Arts. I'll be honest...I had a hard time cutting those papers on that second one. I just LOVE THEM SO MUCH!!!!!!! Now it's time to head on to Guiseppa's blog to continue on this fabulous hop!!! Happy Wednesday!!! Totally in love with these...sigh! yes, holiday gifts don't have to be Christmas-y with santas and reindeer. These are perfect for teachers! I'm sure they would appreciate these and the gift cards inside of them very much! Teachers gift boxes are so cute! Your cards are lovely too. Really having fun on Samantha Walkers blog hop. oh my golly I LOVE these!!! -- but as a teacher of course i would love them -- right? hehehe --no seriously i think these are awesome! These are so cute Jennifer! I always love seeing what you will do next and you never disappoint. I love making pillow boxes. There's so much you can do with them. What a fabulous idea! I've been pondering what to give for our kids daycare teachers. Very nice and what a great idea for gift giving. 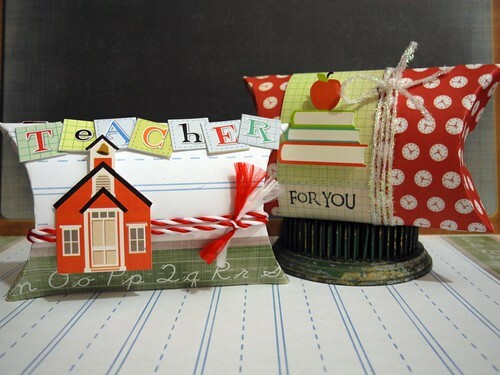 What a cute idea to wrap a little something for that special teacher. Every teacher would love those! They are so cute--I love the patterns! Darling! I love the house pillow box- how fun! I bet the teachers will LOVE these! adorable, i love these pillow boxes! So adorable...love it. Always have so much fun on your blog your so funny. These are so adorable! Perfect gifts for the teachers too!! 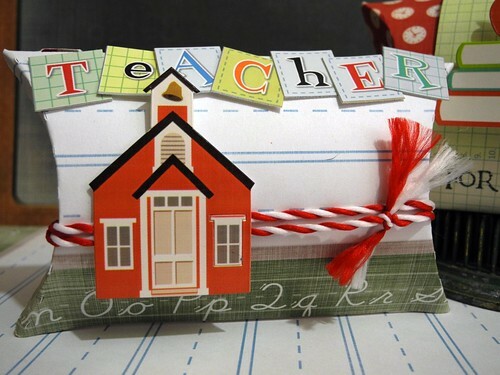 Super cute idea for teacher gifts! TFS!! I love those pillow boxes! WHat fantastic jobs you did on those!